3.3 out of 5 based on 27 bloggers and 3 commenters. 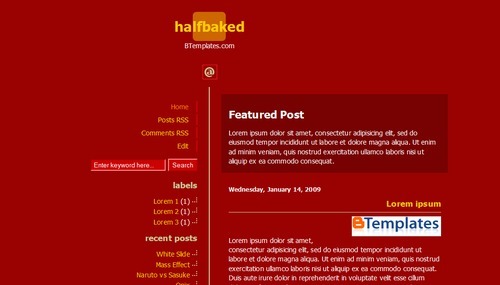 Halfbaked is a free blogger template adapted from WordPress with 2 columns, responsive design, left and right sidebars, minimalist and neutral colors. red light greate themes for bloggers whos loved red color. Thank you for allow us to use this templates.